Ask Charles Cherney - Question #3 - What are the neighborhoods of Cambridge, MA? So, what are the names of the neighborhoods of Cambridge, Massachusetts? 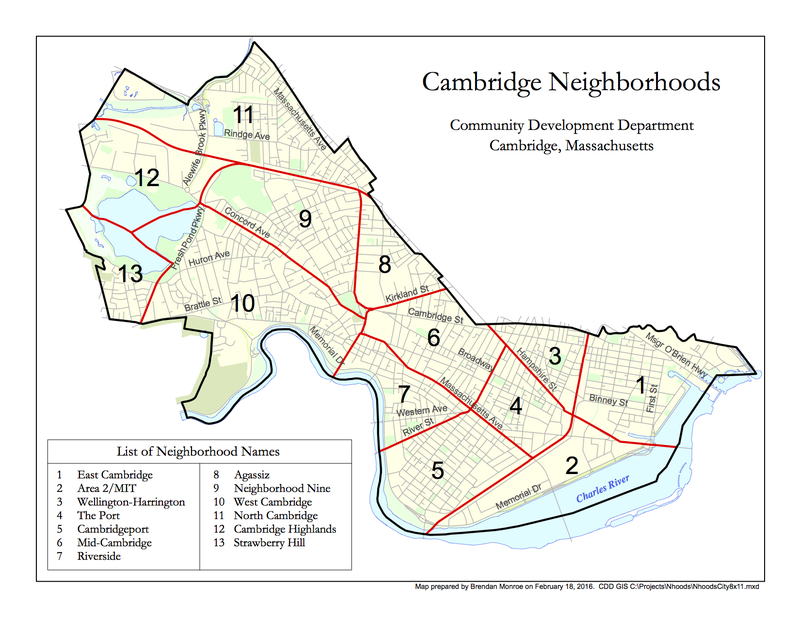 According to the city of Cambridge, there are thirteen named neighborhoods. On my other website (CambridgeRealEstate.com), I have a guide to all the neighborhoods - see CambridgeMAneighborhoods.com. With the Google map maker tool, I myself recreated the map above at CambridgeMAmap.com - if you visit CambridgeMAmap.com, you can actually see the street names and zoom in on the actual "boundary lines" that define these thirteen official named neighborhoods. Okay, you say, what about the squares of Cambridge - namely, Porter Square and Harvard Square and Central Square and Inman Square and Kendall Square? And what about the sub-neighborhoods not found on this list? Namely, Huron Village and Observatory Hill and Larchwood and Coolidge Hill and Avon Hill and NorthPoint? Well, I have placed these missing places on my own interactive map of Cambridge that you can see at CambridgeMAneighborhoods.com. Considering that Cambridge is only 6.43 square miles, it is truly remarkable how many neighborhoods it has. You might even want to include Fresh Pond and the Charles River in this list. And Harvard. And MIT. Being a real estate agent in Cambridge makes moving around the city part of my job. Lucky me! I have really gotten to know the city over the years. And yet there is always something new to discover.